Ahuja and Clark brings to their clients more than 20 years of tax consulting and accounting experience. Our mission is to ensure that our clients receive quality services that assist them in meeting their goals. Ahuja & Clark, PLLC focuses on bookkeeping, tax consulting and compliance services, as well as providing assistance with management consulting.Ahuja & Clark, PLLC’s experience includes bookkeeping, tax returns and federal/state tax advice for individuals, small businesses, professional service providers including attorneys, architectural/engineers, consultants and physician practices. We have also provided similar services for manufacturers, distributors, high tech companies, municipalities, staffing companies and leasing companies. 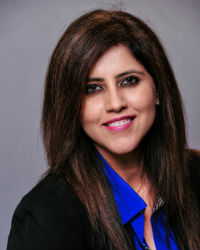 Madhu Ahuja is the Founder and Managing Member of Ahuja & Clark, PLLC. She has specialized in assisting her clients with federal, state, and local taxation, business valuations, federal and state/local audit appeals, and voluntary disclosure projects (including Offshore Voluntary Disclosure Program OVDP/Offshore Voluntary Disclosure Initiative OVDI and Foreign Bank Account Reporting FBAR). Industries served for federal, state and local taxation include technology, food and entertainment, financial services, healthcare, professional services, real estate, and software. She has performed business valuations for a wide variety of purposes including mergers and acquisitions, management and shareholder buyouts, management performance based compensation, federal taxation, strategic planning, damages analyses, SBA 7(a) lending and numerous financing related activities. 17 years of experience in Tax Accounting, Tax Manager with Pricewaterhouse Cooper’s LLP. Certified Public Accountant, Certified Valuation Analyst, Member of The American Institute of Certified Public Accountant, the Texas Society of Certified Public Accountants, and The National Association of Certified Valuation Analyst. Monty Hsu has been involved in valuations and other financial advisory services across numerous industries for shareholder transactions, financial reporting, tax compliance, dispute consulting, and litigation support. Monty holds the Chartered Financial Analyst® designation awarded by the CFA Institute. He is a Certified Public Accountant and holds the designation of Accredited in Business Valuation. 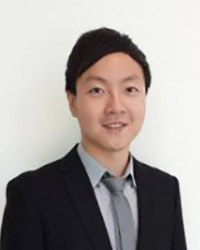 Monty received a Master of Science in Finance from the University of Texas at Dallas, and Bachelor of Business Administration in Accounting from National Taiwan University. He is a member of the American Institute of Certified Public Accountants and CFA Institute. Eric has over 20 years of experience in the financial services industry, and he has a broad range of work experience that includes working in the securities industry, raising capital, working in private equity wealth management and working as advanced planning consultant for a subsidiary of a major life insurance company. Eric’s experience includes successfully establishing a valuation service while employed as an advanced planning consultant. Eric holds an MBA from Southern Methodist University in Dallas with a concentration in finance. He earned his BA from Franklin College in Franklin, Ind., with majors in economics and business. Eric holds several designations, which include the Chartered Financial Analyst (CFA), the Certified Public Accountant (CPA), Chartered Financial Consultant (ChFC), Certified Valuation Analyst (CVA) and Chartered Life Underwriter (CLU) designations. 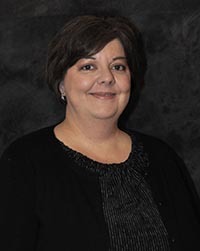 Stacey Huser Stacey Huser has over twenty years’ experience in the field of accounting, having worked in both public accounting and private industry. 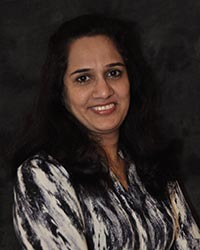 As the Accounting Manager for Ahuja & Clark, PLLC, she oversees the audit, forensic, and general accounting areas of the practice. 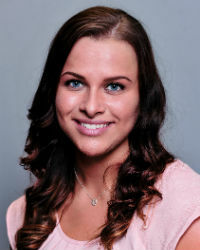 Since starting her career as a tax intern, Stella has rapidly been promoted to Senior Tax Accountant at Ahuja & Clark. Stella is a Certified Public Accountant. She holds a M.S. degree in Accounting from the University of Texas at Dallas and B.S. degree in both Accounting and Economics from Shandong University of Technology, China. She also interned as an audit associate for Crowe Horwath LLP when she was in China. Stella reviews tax returns of individuals, corporates, partnerships, trusts and estates, and is specialized in IRS amnesty programs (including Offshore Voluntary Disclosure Program OVDP, Streamline Filing Compliance Procedures SDOP/SFOP and Foreign Bank Account Reporting FBAR). Divya joined A&C as a staff accountant. She has 10+ years of combined work experience in bookkeeping, accounting, internal and external audit and tax matters. She has worked as audit executive for 4+years in a CPA firm in Singapore and 3 years in Audit firm in India and 3 years in a pharmaceutical company in India. She is a qualified Chartered Accountant from Institute of Chartered Accountants of India and passed the CPA exam from the Michigan Board of Accountacy..
Neelu has joined A&C as a Tax Accountant. She has 12+ years of combined professional experience in accounting, audit and taxation for clients in India and US. She has worked as partner in a India based Accounting firm for 7 years before moving to US in 2014. Since 2014, she has worked as senior tax Analyst with H&R Block doing tax returns for individuals, partnerships and Trusts. She is a qualified Chartered Accountant from Institute of Chartered Accountants of India and passed the CPA exam from the Michigan Board of Accountancy in 2004. She has also passed the Enrollment Agent (EA) exam in Dec 2018 and awaiting EA certificate. She has a BA in Accounting from San Angelo State University. She has 30+ years in accounting with a wide range of experiences in different industries (Medical, private owned, non profit organizations and public accounting). She enjoys working on complex accounts to determine the intricacies of the industry. 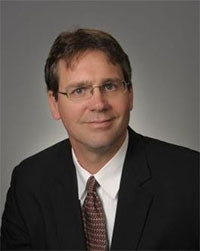 Peter Christian has over 20 years of experience in the field of taxation. He holds a M.a.c.c. degree from the University of South Florida. After school he started at a public accounting firm in the Tampa, Florida area. After spending approximately 10 years there he moved into industry. He relocated with his family to Texas in late 2016. Majoring in Accounting, Jennifer is currently a tax intern at Ahuja & Clark. She is currently in school obtaining her Bachelor’s degree at the University of Texas at Dallas. 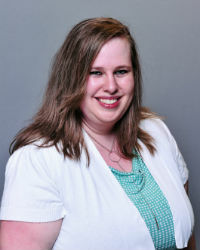 Her previous experiences include being a writer and editor at a marketing company, a leadership position in the Accounting Leadership Association and a mentor in the Freshman Mentor Program. These positions have allowed her to obtain skills such as teamwork, leadership, and communication that would be suitable to apply in this internship and the future. Jeanne-Marie joined A&C as a Coordinator. She has since been promoted to a Bookkeeper. Jeanne-Marie is currently finishing her Associates Degree in Accounting and is hoping to transfer to University of Texas at Dallas. 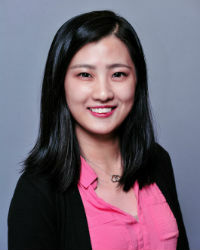 After obtaining her BBA, her goal is to get her Master’s degree in International Business. Her previous experience includes nearly four years of administrative work and three of those years as a bookkeeper. Jeanne-Marie also has her QuickBooks Online Pro Advisor certification. It’s about the success of your company! Ahuja & Clark has its sights set firmly on delivering outstanding client service, keeping their core values at the forefront of their thinking and operations. The attitudes, experiences and skills brought to each engagement are vital elements in successful relationships and engagements. Character counts. Trust is paramount. Objectivity is critical.